The proposed control area encompasses approximately 800 Hectares, with a 50/50 split between Public and Private land owners. 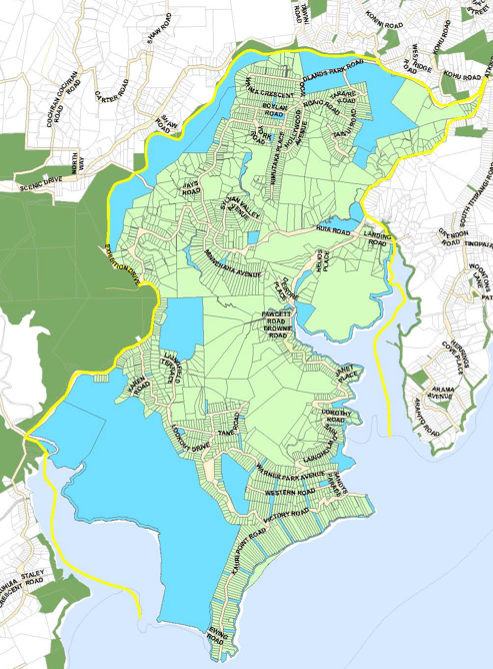 With the Manukau Harbour to the south, the boundary (shown in yellow) runs from the edge of Symonds Bay on the west, along Exhibition Drive to the north, then back down Huia Road to Muddy Creek on the east. If you live inside the control area, then please join us to make it pest free.